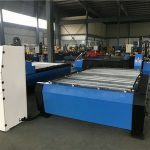 CNC series digital cutting machine is a kind of newly researched and developed efficient automatic cutting equipment for steel plate to support processing of metallic parts based on absorbing domestic and overseas advanced software and hardware technology and it can perform vertical and horizontal cutting and cutting on any position of arc curve, which is featured with high cutting surface precision and small deformation. The equipment is featured with appropriate structure, easy operation, and advanced technology etc. 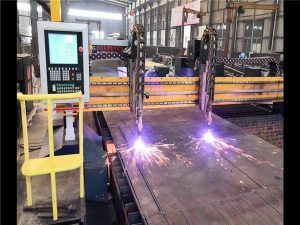 CNC flame cutting is a traditional thermal cutting method, which is applicable to cut the carbon steel plate with good quality and the cutting thickness is 6-150mm. 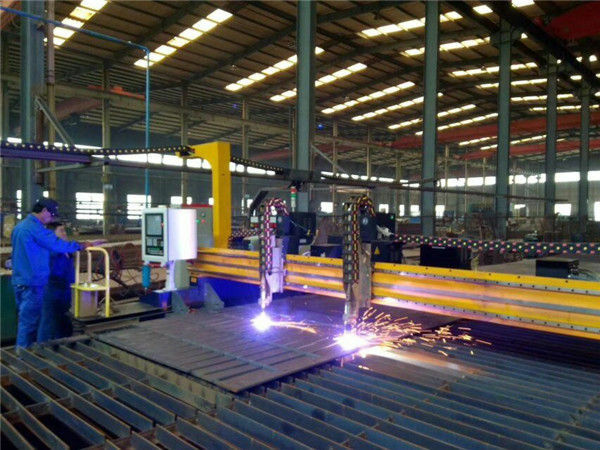 CNC plasma cutting machine is applicable to cut stainless steel and nonferrous steel with quick speed, good cutting surface roughness, high precision and small deformation. 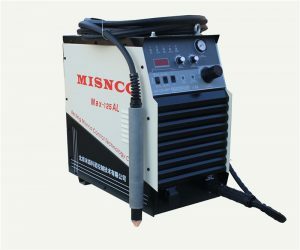 It is a best choice to get the higher quality of cutting metal material. 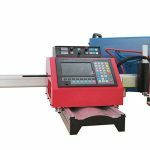 CNC cutting machine is widely applicable to the automobile, shipbuilding petrochemical industry, boilers, pressure vessels, construction machinery, light industrial machinery and other industries. 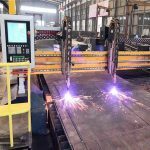 Girder: Square beam welding structure for removing stress is employed for the girder. Binding surface of the girder adopts key groove structure for facilitating binding end girder. 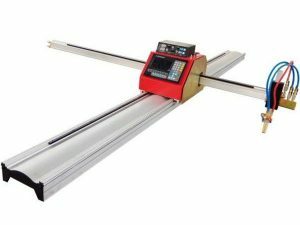 Traveling surface of each guide track has undergone precision machining with sound toughness and precision. 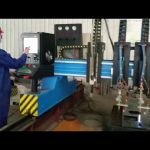 The transverse rack is fixed by the bolt on the track which is processed by girder. That is convenient for replacement and adjustment. One of the flank of the girder installed 45# high-grade carbon steel track. 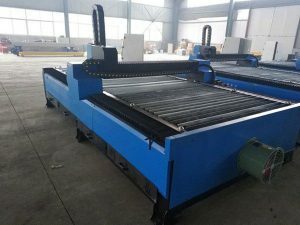 After tempering, the surface of track is with high rigidity and hard wearing to realize the usage of transverse planker. 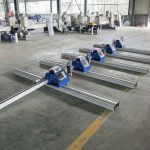 According to the requirement, the machine can be equipped with rail for the movement of 9 pieces (depends on customers) of multi-head vertical strip cutting torch at another side of the girder. This rail is processed in advance and formed as assembly type to meet the needs of multi-head vertical strip gas cutting. 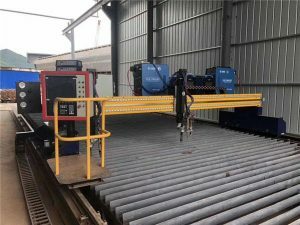 End girder: Active end girder adopts sheet material box type welding , and removes welding stress after welding, which is compact and nice-looking and process the location key gutter with binding surface of the girder to ensure installation size. AC servo motor made in Japan and reducer made in Germany are installed in the driven end beam, which is also controlled by the driven device. 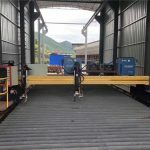 The transmission device is installed on the guide sliding plate, with spring pressing device installed on one flank, to ensure joggle and transmission of gear and rack to make the equipment travel stably and meet the requirement of rate change. 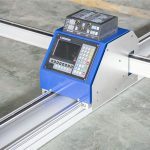 Horizontal guide wheel is installed on both ends of the end girder, which is used to adjust pressing content of the concentric wheel on the rail. 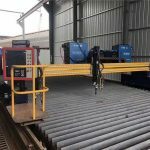 The gantry frame is made up of girder and end girder at both ends, with locating by key gutter at one end; it combines high strength bolts to ensure stable operation of the equipment without any deviation. Dust wiper is installed at both end surface of the end girder. 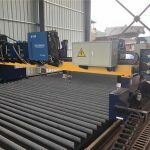 During operation, it removes impurities on the rail surface to ensure requirements of processing and thermal cutting to facilitate cutting. 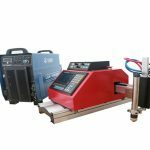 During acceleration, deceleration and relocation, the max traveling precision of the equipment can be guaranteed.